Our heroes take a walk outside and Teferi explains his theory behind time travel. 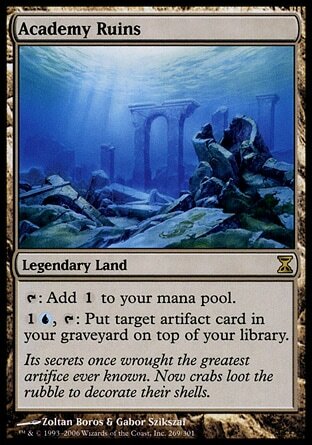 Urza's original concept was too complicated. There were too many moving parts and that created too many variables and that is what led to the first disaster at the Tolarian Academy. This time they remove all of that. 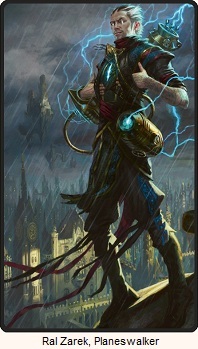 Planeswalkers are beings of will and magic. Karn will use his own memories as guideposts to take him back further through time step by step. Memories are powerful things. When you recall a memory the feelings that spring up aren't remembered feelings, but feelings that are generated anew. 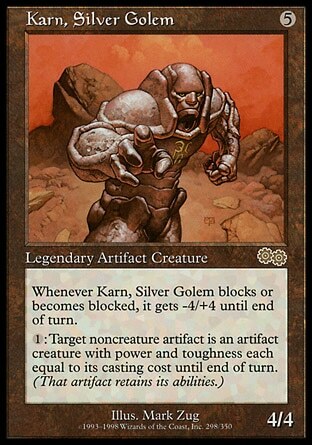 Combine that with the power of a planeswalker, and Karn's pure silver body, he'll have pulled himself back in time. Venser shrugged. "I still don't get it." "But I do." Karn strode forward, his massive arms swinging at his sides. "I'd like to begin now." Karn offers his hand and suggests he be the one to take Venser to the Blind Eternities. Venser hesitates and asks if Karn's sure he can survive there. Karn tells him that the Blind Eternities will kill those who are not meant to 'walk, but Venser has already felt the touch of it every time he's 'walked. I shall move away from you now so that you do not get swept along with me when I go. Stay alert, my young friend. You are in no danger, and this is going to be extremely interesting. Thank you, Venser. Karn drifted out into the larger expanse of emptiness and color, his hands at his side. Karn understands the method, but he didn't want to speak the specifics of which memories he would use to travel back in time when he was with the group. Every memory included Jhoira and he wanted to save her some embarrassment. He starts with his memory of seeing her face as they left Urborg. When he feels himself shifting through time, he moved back to when he first arrived. Then to when he heard the coded message she implanted into the ambulator. It is working. He the stress of time travel is growing stronger and is just like as he felt it before. Further and further he goes, traveling from memory to memory until he finds himself in the Invasion, before the devastation of Tolaria . He calls out to Venser and lets him know he's arrived. The horror and death of so many is too terrible to describe, so Karn asks him to give him a moment and he'll contact him again. This is where he was born, and he is about to witness a massacre. Venser is glad Karn made it. He's never been impressed by any of the planeswalkers he's met so far, but Karn gives him a sense that everything is going to be okay. Then the Weaver King speaks. Venser ignores the jabs and threats. If the Weaver King could take his body like he did in Skyshroud he would have done so already. 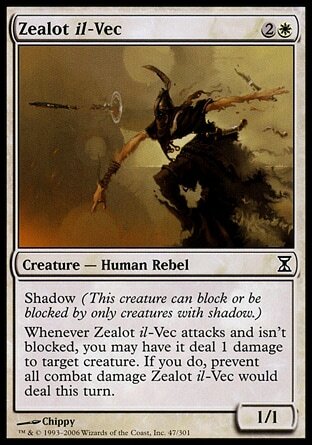 Venser reasons that it must be the new control he has over his powers that protects him. But Weaver King has a plan. 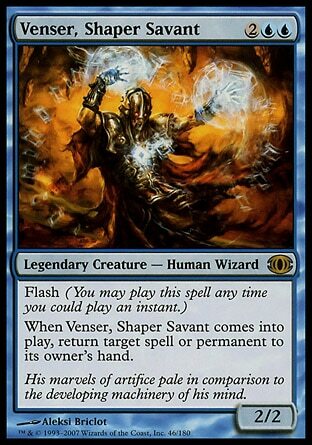 Venser isn't allowed to leave the Blind Eternities while Karn is still in the past. And guess what little artificer? Teferi and the lovely Jhoira are suffering at the hands of his assassin. 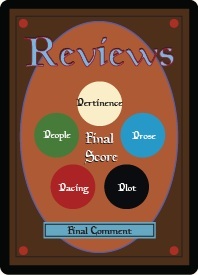 If Venser doesn't let him in voluntarily, if he doesn't become the Weaver King's new host, then they die. So what will it be? Flee and possibly sabotage their plans of saving all of time and space? Or stay and let his friends die? 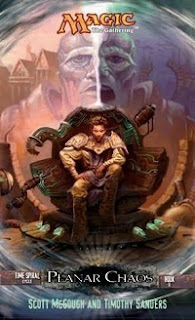 The Weaver King tells him the smart option is save both his friends and the multiverse by letting him. He just needs to give in. Just relax. It is time for their talk, and Teferi is glad. Things were rocky before the test run of the ambulator and she has hardly spoken to him at all since. What she wants to know is what happened with Corus . He tells her that he doesn't remember, and she tells him that she doesn't believe him and if he never comes clean things will never be right with them. It's not actually about Corus, or his abilities. 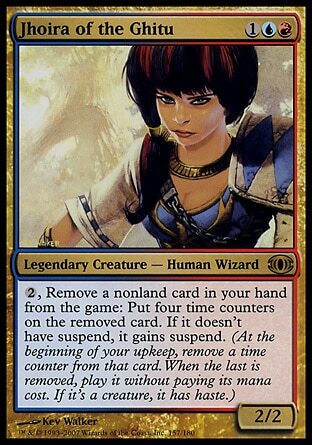 She tells him even the all-powerful, all-knowing, delusional and obsessive Urza would still pause and consider words from a friend. Teferi still maintains he is ignorant of what happened. Jhoira turns to leave, and just as she touches the door to walk out on him Teferi finally caves in tells her what he knows. Corus had attacked him and he wasn't completely aware of what was going on. Phasing is second nature to him, so even in that state he phased out when threatened and Corus' attack harmlessly passed through him. Corus was overwhelmed with rage, and in his two hands he grabbed two points of the mana star and cracked it in half. He phased Corus and the mana star out of existence but not before some of the energy already liqufied the sand beneath him and when he returned he sank into the liquid glass. Jhoira says that's terrible, but why did he feel like it was necessary to keep it all in? Why hide it? "I didn't think. I didn't want to. I saved Shiv at the cost of three loyal Shivans whose only crime was to throw in with me." 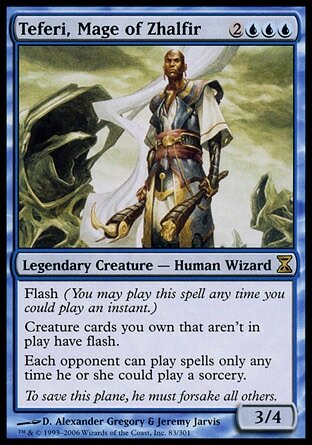 Teferi lifted his face. "The glass storm went awry. More Shivans died, and even if they had formed an angry mob to dismember us, I thought you hated me. His voice dropped to a whisper. "And for all I knew, Corus had already murdered you and Venser." Jhoira opens her mouth to respond when a spike strikes Venser in the shoulder and Dinne begins choking the Ghitu woman, holding back until he gets the final command to kill. That's it? While I understand that this kind of thing probably does happen in the real world, it's hard for me to really grasp what was the big deal about this whole business with secrets and holding in one's feelings and "You should have shared this with me because I'm your friend." That's getting in the way of saving the multiverse? I get that stuff like this happens, I just wish there was a more overt description of Jhoira's feelings about this whole situation from her POV, because I need some help in really understanding it. Okay. Nice. It was bizarre that the Weaver King let Venser go in the first place, but he was probably filled to capacity controlling two armies, and now it's allowed him to strike at an opportune moment. And I like that there was an explanation as to why he can't just take over Venser's body like the last time. (But I don't get how he's in the Blind Eternities. There is no ambulator this time for him to have snuck on to. 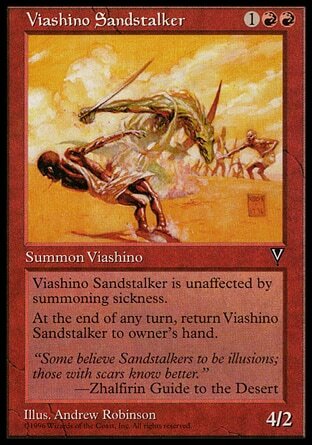 What's Venser to do?